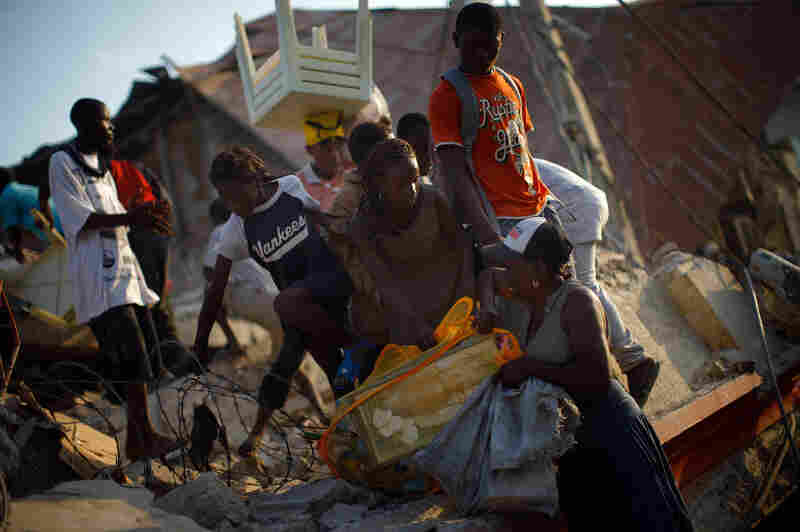 Haiti Then And Now: 3 Years After The Earthquake : The Picture Show Evidence of loss remains even three years after a massive earthquake claimed the lives of as many as 200,000 people in Haiti. 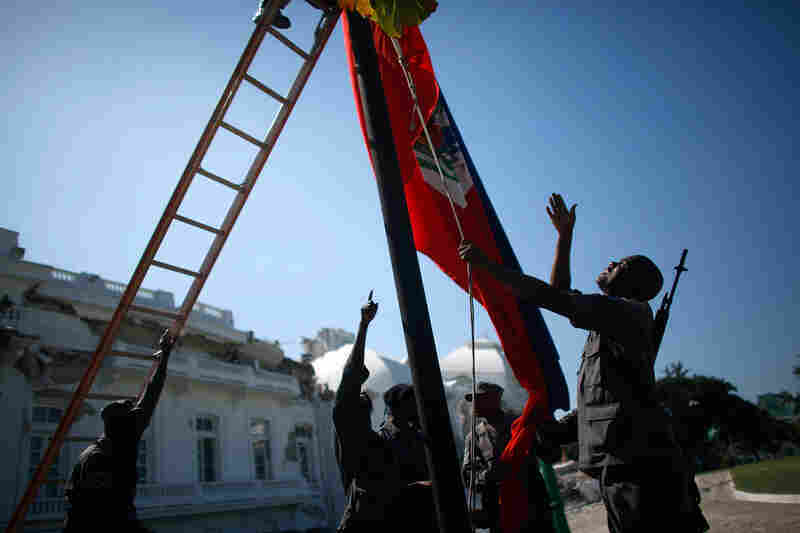 One of the first photojournalists to capture the grim aftermath of the quake, NPR's David Gilkey traveled back to Haiti to revisit images he originally took in 2010. 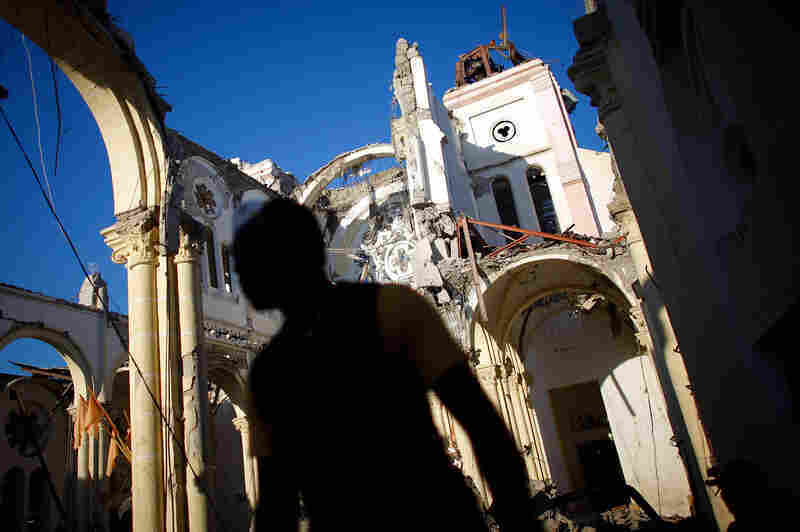 Our Lady of Assumption Catholic Church in downtown Port-au-Prince, Jan. 17, 2010. 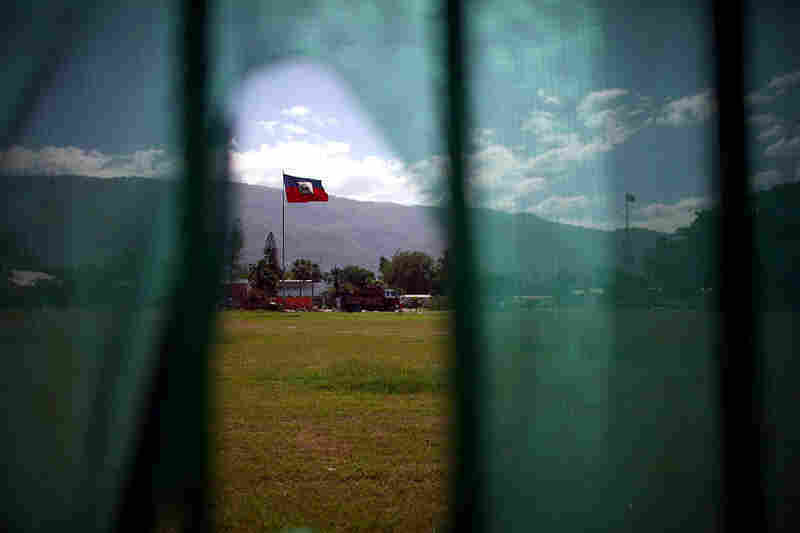 The National Palace in Port-au-Prince, Haiti, Jan. 21, 2010. 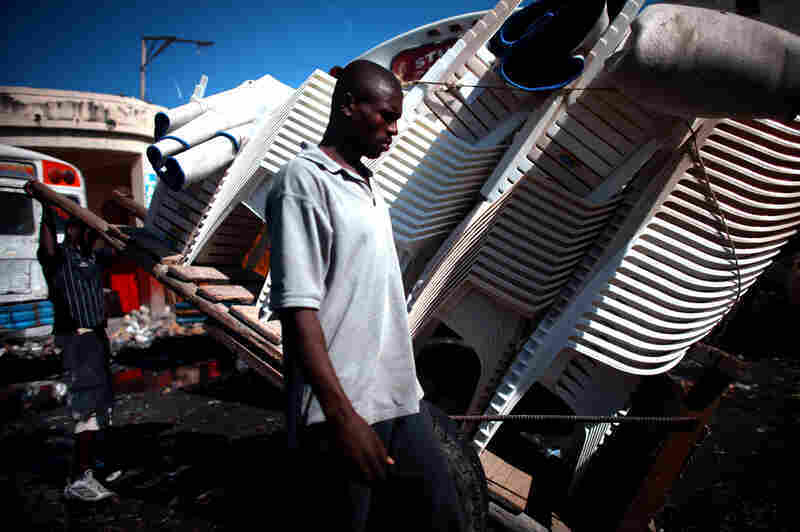 Looters on the roof of a collapsed supermarket in Port-au-Prince, Haiti, Jan. 20, 2010. 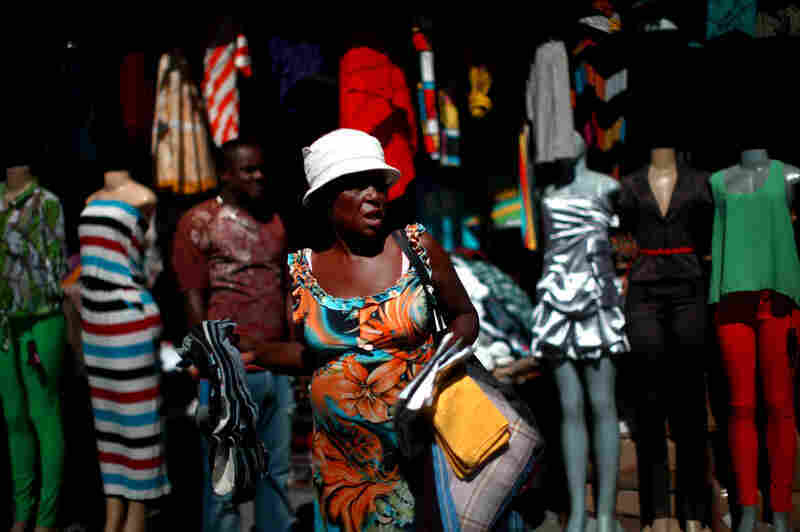 Downtown Port-au-Prince, Haiti, Jan. 16, 2010. 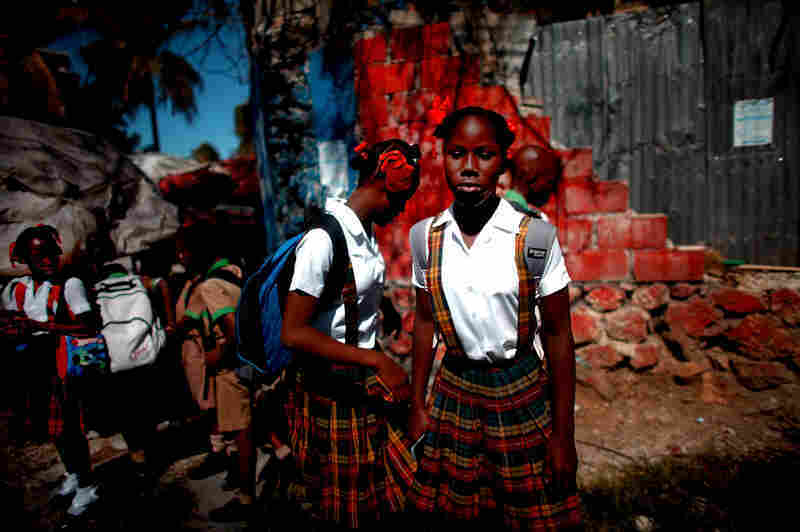 These are some of the "then and now" images from NPR photographer David Gilkey. 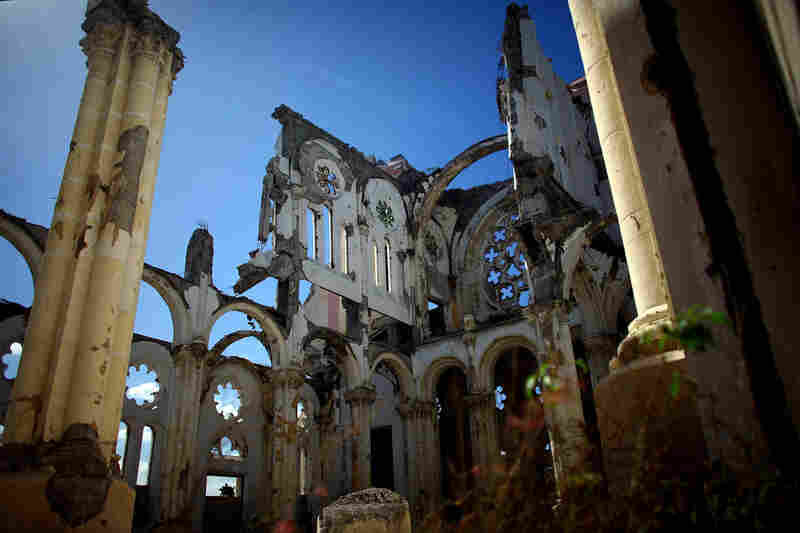 One of the first photojournalists to capture the grim aftermath of the quake, he traveled back to Haiti to revisit images he originally took in 2010. "I'm not out walking the streets looking for beauty in any of it," Gilkey said in 2010. "It's not just reporting. It's not just taking pictures. It's: Do those products, do the visuals, do the stories — do they change somebody's mind enough to take action?" 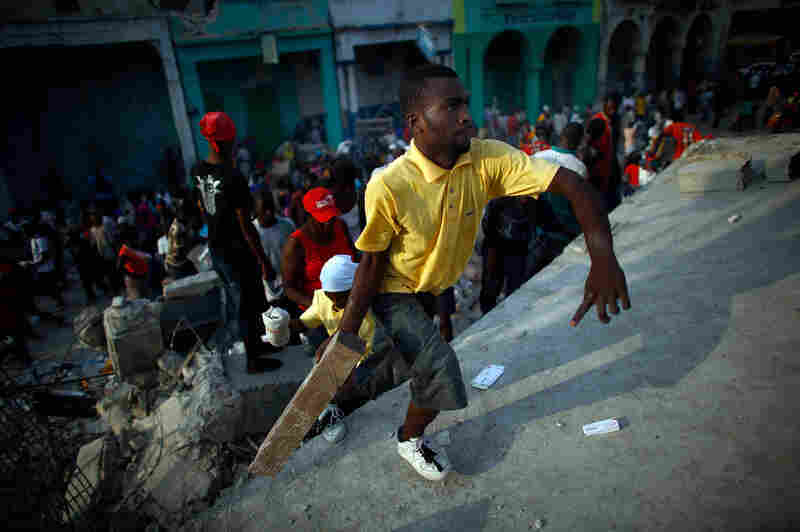 A man carrying a shotgun looks to keep looters at bay in the commercial district of downtown Port-au-Prince, Haiti, Jan. 18, 2010. 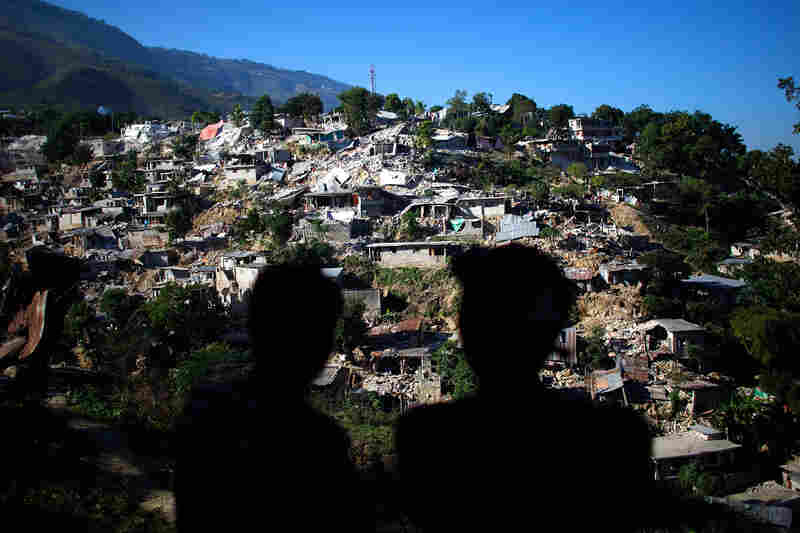 A neighborhood near downtown Port-au-Prince, Haiti, Jan. 15, 2010. 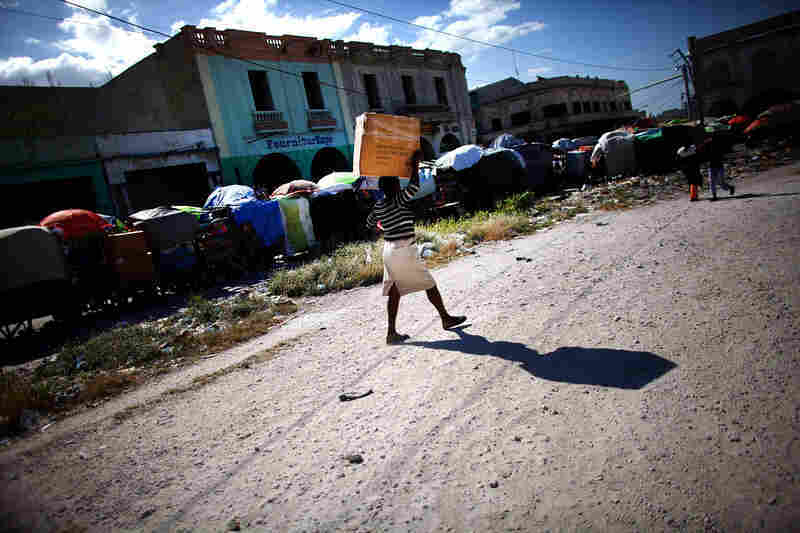 A man carries a stolen plastic table past a police car in Port-au-Prince, Haiti, Jan. 20, 2010. 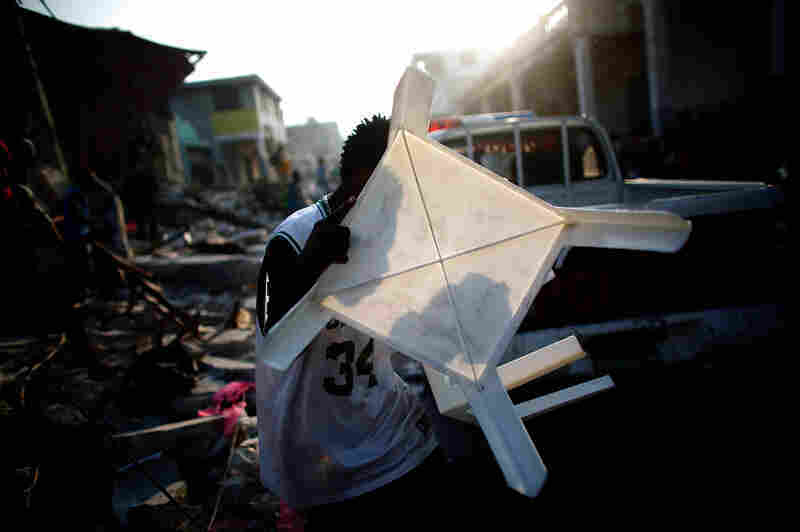 Looters in Port-au-Prince, Haiti, Jan. 20, 2010. Of course, his photos show progress and transition, as well. 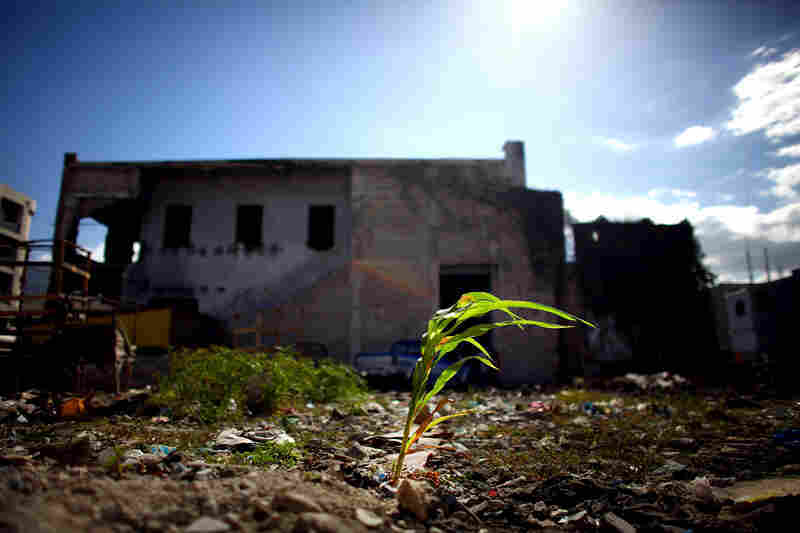 A hillside of crumbled cinder-block houses is now being rebuilt. 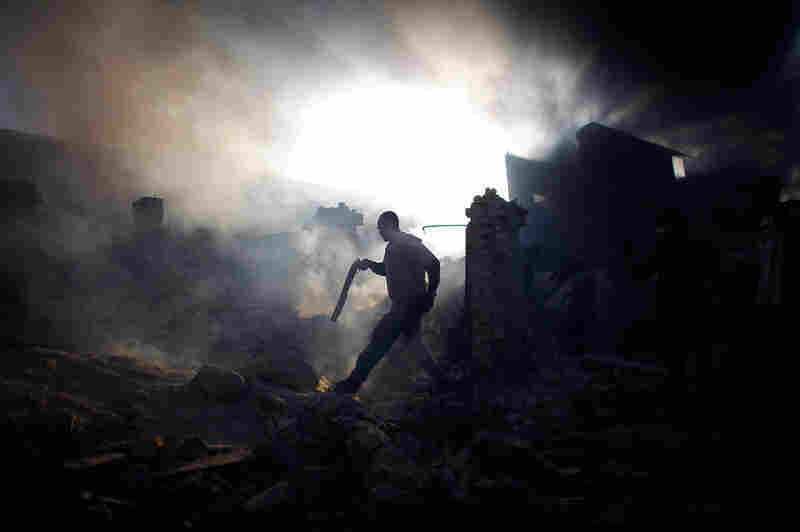 Scenes of looting and panic amid the rubble have been transformed into orderly streets. 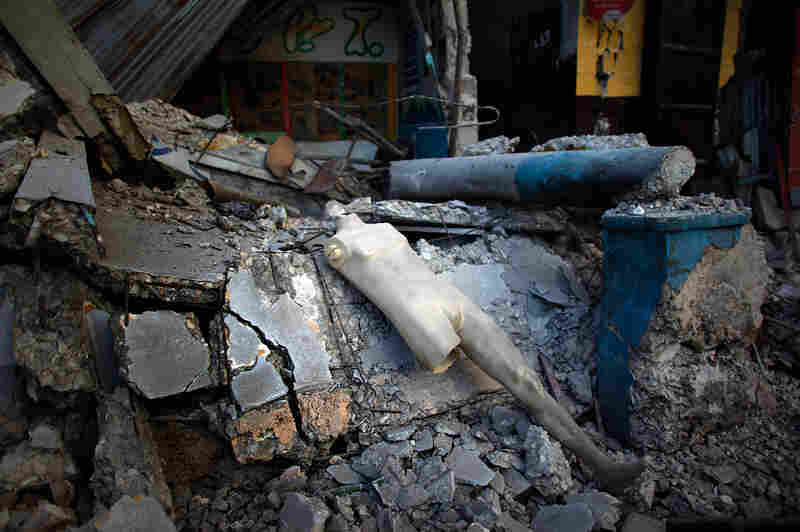 In the place of men toting guns and wielding rubble are children wearing pressed white shirts and neatly pleated plaid uniforms on their way home from school. 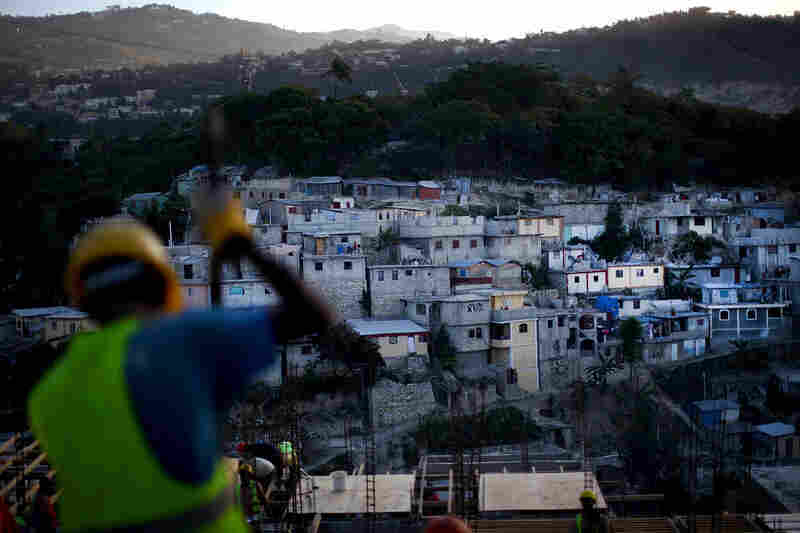 David Gilkey and NPR Global Health correspondent Jason Beaubien spoke with Morning Edition's Renee Montagne from Port-au-Prince about the progress they're seeing on the ground in Haiti. Hear that conversation at the audio link above.